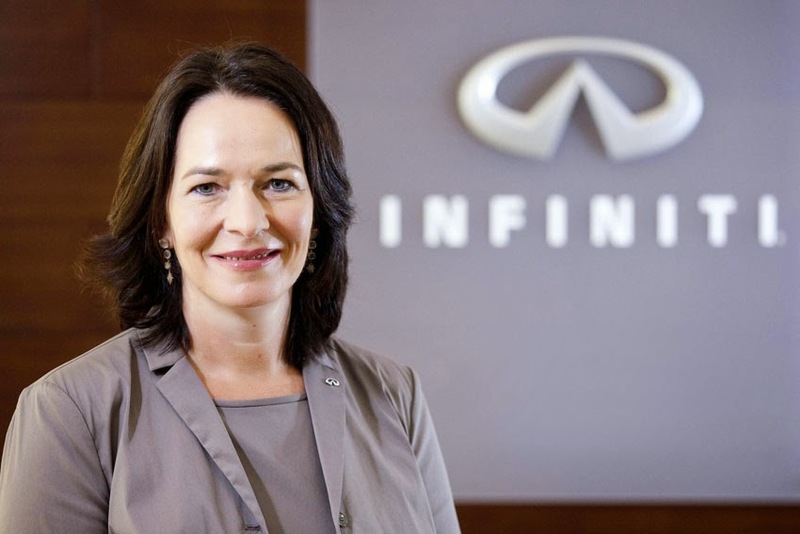 Infiniti has named Gaby-Luise Wuest its new Vice-President, Global Operations, effective September 1, 2014. In this capacity, she will have global responsibility for Infiniti sales and aftersales, fleet sales, retail network development, and sales & product training. In addition, she will have full market responsibility for Infiniti's markets in the Asia/Oceania region with the exception of China. Wuest will be based at the company's global headquarters in Hong Kong and report directly to Johan de Nysschen, President, Infiniti Motor Company, Ltd.
She joins Infiniti from the BMW Group where she has most recently been the Regional Head of Mini Asia-Pacific and South Africa. Wuest succeeds Francois Goupil de Bouille who had earlier been appointed Infiniti Vice-President, Europe, Middle East and Africa. "Gaby Wuest is a highly-experienced and talented business executive with experience in both headquarters and local operational roles," said de Nysschen. "As we transform our organisation and continue to implement every step of our growth strategy, her background with premium automotive brands will be an important asset for Infiniti. She will bring additional perspective and experience, and further strengthen our leadership team as well as the brand overall." Wuest started her automotive career in 1994 with BMW in the young executive program for international trainees. She subsequently held various roles in Marketing, Public Relations and Sales within BMW before she moved to China in 2007 as the General Manager, BMW Group China Import Office. In 2010, she was promoted to Regional Head, BMW Group China and Coordination Joint Venture, BMW Brilliance Automotive, based at the company's Munich headquarters. In 2012, she was appointed to her most recent position in charge of Mini Asia-Pacific and South Africa. A German national, Wuest has a degree in Business Administration and a Master of Commerce from the European Business School in Oestrich-Winkel, Germany.